Lost In The Warp: Rhulic Rampage 13 - Ogrun Assault! Rhulic Rampage 13 - Ogrun Assault! 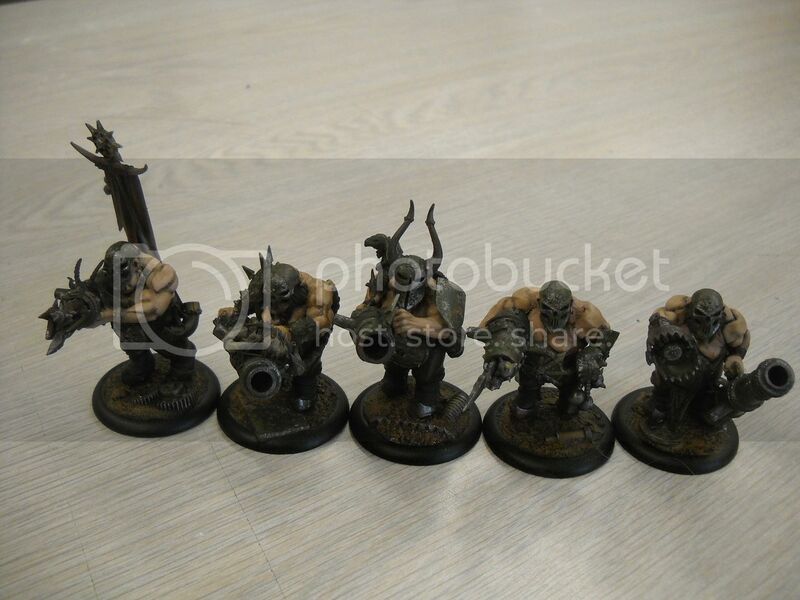 So a while ago, in my last RR post, I was discussing the idea of reusing some ogres that I owned to use as my Ogrun Assault Corps. I have had mixed feelings about the models from PP and have had mixed feelings about how this pricy (both in points and $) and relatively new unit would work in my force. in a proper set later for official sanctioned events (like GenCon) which probably wouldnt allow my converted Warhammer pieces (locally that is not an issue). investing any more time and effort into them. Well, I have since been using them with Durgen Madhammer and must say I LOVE THE OGRUN ASSAULT CORPS! I run them as a line/bodyguard unit for Madhammer who uses these beefy 8 wound meatshields to their fullest by shooting over them with his arcing fire and upping their damage output with his feat. Using inhospitible ground to keep enemies at bay long enough for the Ogrun et al. to blow the bejeezus out of targets and then rush in to CMA and wipe up leftovers or bash a hole through enemy defences to make a kill run for the opponents caster. They have been well worth it in virtually every game and I like them so much that I am indeed going to order a real box of them and am actually considering trying a list that runs 2 units!!! So just a brief post this week with some cool stuff upcoming. 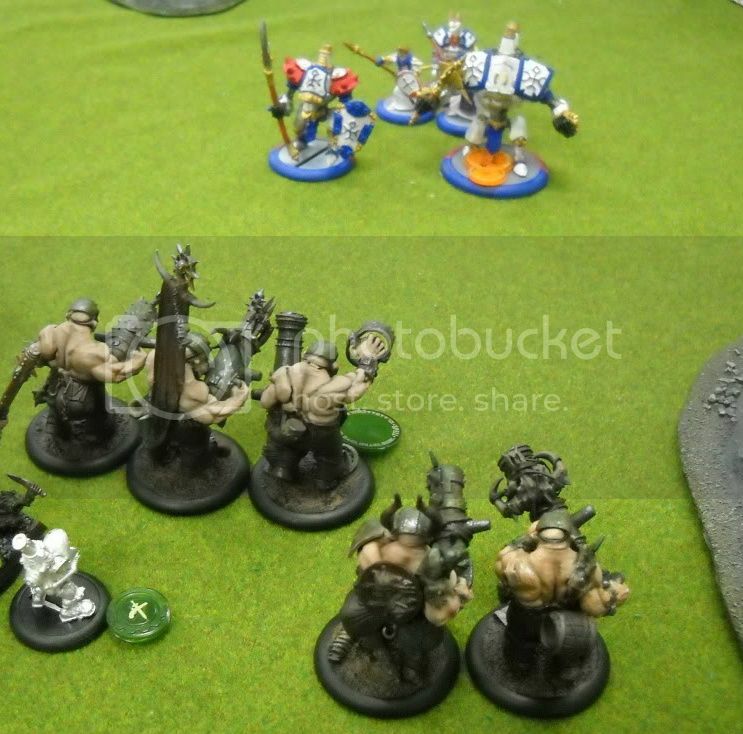 More inf about my rather successful run with Warmachine, sharing my Rhulic Lists, some event coverage etc. CYA SOON!